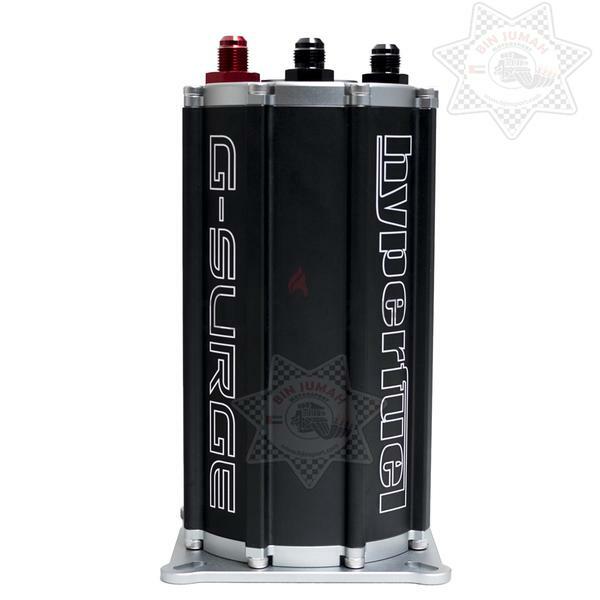 The HyperFuel Pump G-Surge Tanks are designed to prevent fuel starvation issues in extreme lateral-G environments. The G-Surge Tanks will hold fuel in reserve thereby ensuring a constant full supply to the EFI system under any circumstance; be it slosh in the fuel tank, hard cornering, hard launches, etc. 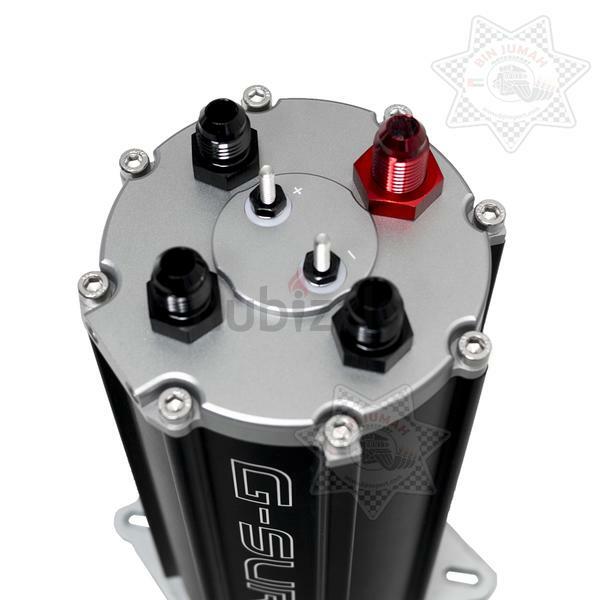 The pump within the G-Surge stays covered with a steady supply of fuel from your existing fuel system along with the fuel returning from the fuel injection system. These G-Surge Tanks constantly circulate fuel so your fuel pump will stay cooler and have a longer life. 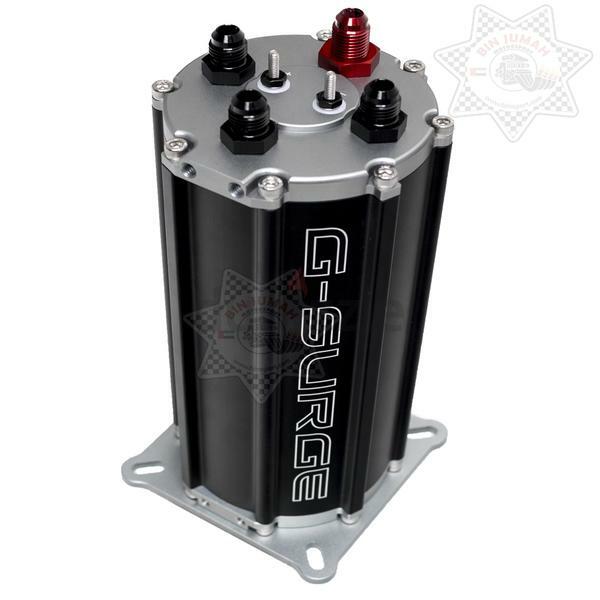 G-Surge Tanks are an excellent way to increase fuel volume when adding a boost or nitrous power adder to your engine. Available with a single or dual pump.